The wait is finally over! 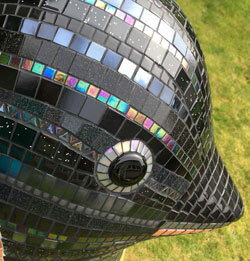 Maggies Penguin Parade has begun so it’s time to spot as many penguins as you can while the trail is live! The Taxi to Troon event took place recently and saw Glasgow taxi drivers take over 300 children to Troon for the day. 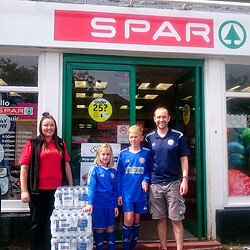 SPAR Kirriemuir has recently donated water to the Kirriemuir Youths Gala Day. 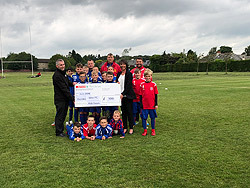 SPAR Macalpine Road recently donated £500 from their charity account to The Dundee West Football Club for the kids team. The annual SLR (Scottish Local Retailer) Awards were held at the Radisson Blu hotel in Glasgow. The cream of the retail sector gathered together in a glittering evening to celebrate best practice and the major success stories for the year. 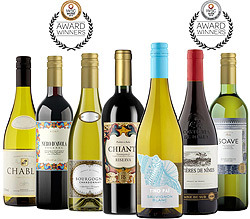 The Italian and French results at this year’s International Wine and Spirits Challenge (IWSC) have been announced, with 3 of SPAR’s wines achieving a silver medal and the remaining 4 achieving the bronze medal.